A few years ago, I took a tour of the USS Midway, an aircraft carrier that is now a museum anchored in San Diego. One of the things that I learned was that the Chief Petty Officers are the people who really run the ship from an operational standpoint with the Captains making the tactical and strategic decisions. There are a lot of analogies with hospital leaders. Two weeks ago, we had some turmoil at Ohio State when the Vice President for Health Sciences and CEO of the Medical System resigned under pressure from the physician faculty. It caused me to examine who our medical system leaders are and I realized that there are really two tiers of leadership, a lot like the Chief Petty Officers and Captains. At the top, are the executive leaders: the Chief Executive Officer of the Medical Center, the Dean, the Chief Financial Officer, and the Chief Operating Officer. These are professional leaders; by that, I mean that they are either leaders with a business background who have specialized in overseeing large health systems or they are physicians who have evolved into leadership roles and no longer are doing clinical care. These are like the Captains. Of note, at Ohio State, all of them are people who were recruited from outside of the University. In the middle, there are all of the operational medical directors: The Chief Medical Officer, the Medical Directors of each of the hospitals in our health system, and the Medical Directors of every procedure area and clinical program. Every one of these individuals are physicians who have been at our Medical Center for many years who started off as regular clinicians and then were home-grown into their leadership roles. I’m one of them – we are like the Chief Petty Officers. In academic medicine, the captains have differentiated themselves so much that about all they can do is be full-time leaders. 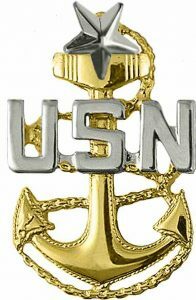 The chief petty officers are generally a lot less differentiated and they typically are also doing clinical care or teaching; in other words, they are not full-time leaders. Because so many of the captains come from outside of an institution, they are by definition geographically mobile. Because they are mobile, you are always at risk of them leaving to go to some other academic institution, much like the Medical Rock Stars that I wrote about in a previous post. On the other hand, the chief petty officers tend to be geographically fixed, loyal to a single institution, and are less mobile. 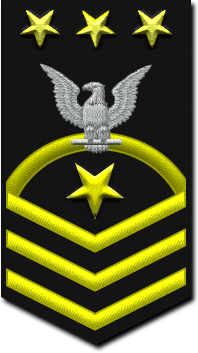 In the navy, the chief petty officer is the highest rank that an enlisted sailor can achieve. Because they started off as regular sailors, the rest of the ship’s crew knows and trusts them – the chief petty officers have “been there” and the crew considers them to be one of their own. In medicine, the chief petty officers are the same – they started off as regular doctors and at their core, they still identify themselves as clinicians. They hold the institutional memory of the past years and decades and they are the ones that the rest of the physicians know and trust. They also know all of the bad things that have happened in the past that were swept under the carpet; in other words, they have institutional wisdom. An academic medical center needs both captains and chief petty officers. For me, I’m very comfortable being a chief petty officer. Planning For Retirement For Physicians Part 4: Maximizing Your Annual Return?